Brand: Norpro N-3770 Units: 1 Has straighter sides than most standard muffin pans but still fits standard muffin liners. Cavities measure 2 3/4" diameter at the opening, 2 3/8" diameter bottom, and 1 1/8" deep. 12 cavities total. Made of tin. 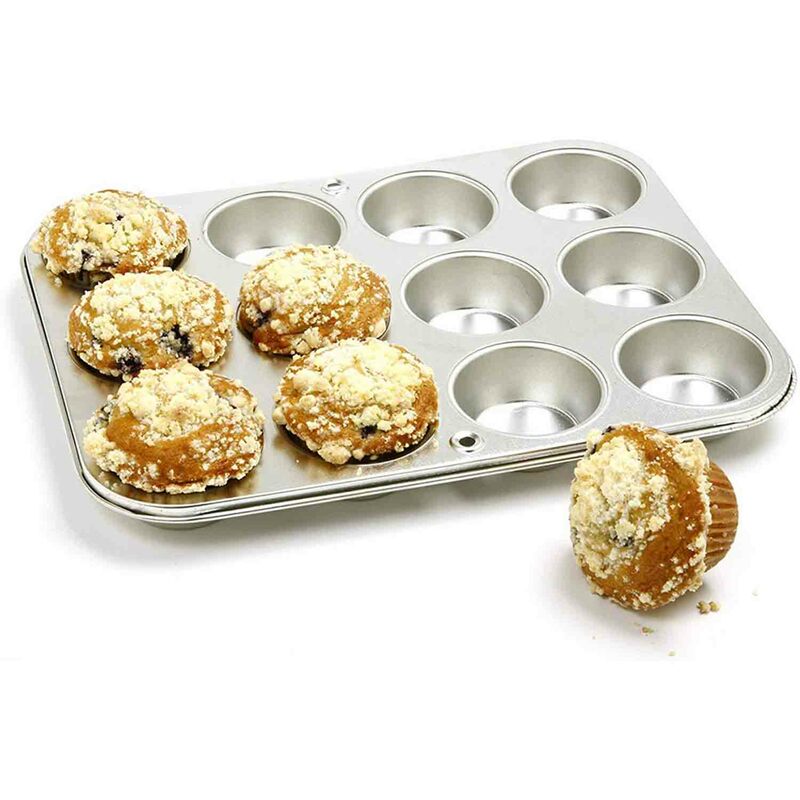 Has straighter sides than most standard muffin pans but still fits standard muffin liners. Cavities measure 2 3/4" diameter at the opening, 2 3/8" diameter bottom, and 1 1/8" deep. 12 cavities total. Made of tin.